New Truck Cell Booster Offered by Cell Phone Signal Booster Lets Drivers Talk Clearly Across USA. Houston, Texas, September 2, 2016	(Newswire.com) - ​This week CellPhoneSignalBooster.us is highlighting their powerful new Truck Cell Phone Signal Booster. 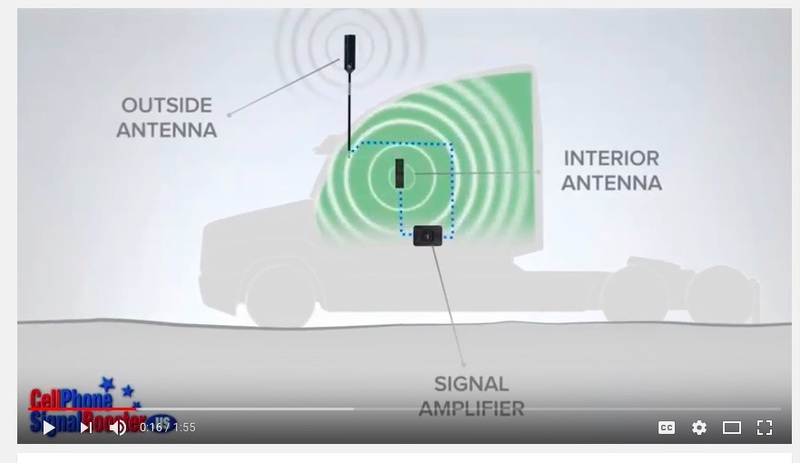 This affordable kit very effectively boosts cell phone signal inside OTR truck cabs enabling truck drivers to stay connected despite driving in very weak signal areas. Unfortunately, truckers are frequently in remote areas where their cell phones get very poor signal. If they have trouble or news from the office or home, it can be frustrating trying to make or take a call with poor signal. The system is designed to boost signals within the cabs of large freight trucks. It features a powerful amplifier that pulls in weak signal and boosts it. Now truckers can make calls up to 60% farther than they could in the past with this truck cell booster when compared to non-extreme booster kit versions. This greatly increases a driver's ability to use their phone when driving from state to state, or coast to coast. Rather than spending hours in dead zones, drivers are able to use phones and tablets for much more of their trip. As soon as just a little bit of signal becomes accessible, the booster kit can amplify that to be a very usable, much stronger signal. The kit is guaranteed to boost voice, 3G and 4G LTE for practically all cell phones and all service providers in USA and Canada. These include AT&T Wireless, Verizon Wireless, Sprint and T-Mobile in USA. These include Rogers Wireless, Telus Mobility, and Bell in Canada. This means any driver in United States and Canada can use this for his or her existing cell phone equipment. The stronger signal lets drivers download email, surf the Web, or enjoy streaming content. Truckers are no longer limited to CDs and small town radio stations when traveling outside of major urban areas. The coverage area in the cab is 4 feet from the patch interior antenna included. That lets phones and tablets be of maximum use anywhere in the cab or next to it. Installation is easy for both drivers and maintenance technicians. There is an easy to understand installation guide along with free phone support. Antennas are usually installed on the mirror, however some truck mirror designs such as those in Cascadia trucks will not allow for that. Therefore exterior antenna can be put elsewhere, as long as it rises above the top of the truck cab. Placing it behind the cab is also popular. This maximum power cell phone booster can also work for recreational vehicles, motor homes, and trailers. There’re lots of people who find themselves camping in an area where there’s very poor cell signal. This is the kit that boost the signal up to very good or atleast certainly good enough to talk, download email, and watch videos. CellPhoneSignalBooster.us is owned and operated by Accessory Fulfillment Center, LLC., located in Houston, Texas, USA. They are one of the nation's leaders in the sale of high quality signal boosters that are manufactured with pride, in USA.